Go to https://www.youtube.com/user/MrBry1/ to Subscribe. After approving your application, we will email you the distributor access code. This code will give you access to our special pricing for our Distributors only. Normally, we will get back with you within 24 hours. This is a rewarding and profitable business opportunity and we look forward to having you on our team. Email: Contact Us or use email address listed at top of page. Your application has been emailed to us. If you do not hear from us within 24 hours, we may not have received this email. Please begin by checking your junk folder to make sure that our response was not flagged as spam. If you do not find our response there, then please either resend your application, email us directly using the email address at the top of the page, or call the number above. COPYRIGHT © 2011-2019 ZAP CLOTH® ALL RIGHTS RESERVED. 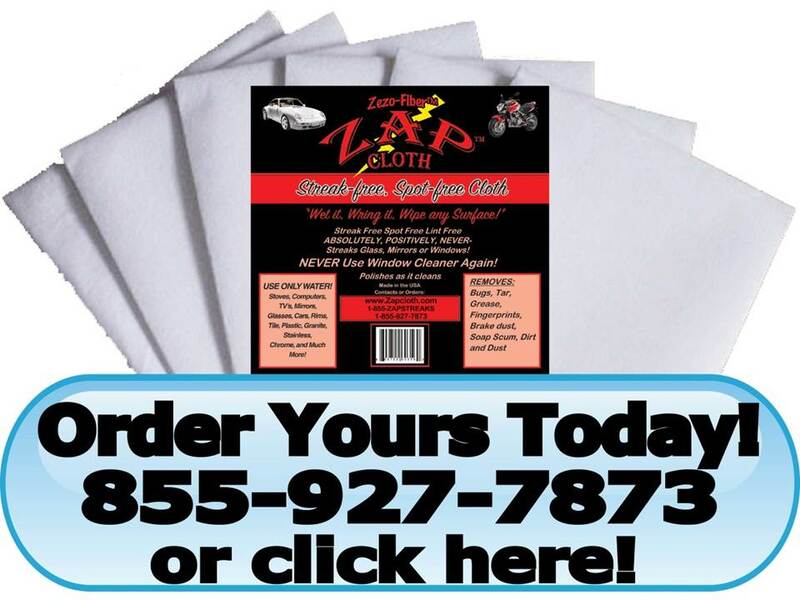 ZAP CLOTH®, ZEZO-FIBER® and BIG BAM CLOTH® are registered trademarks.